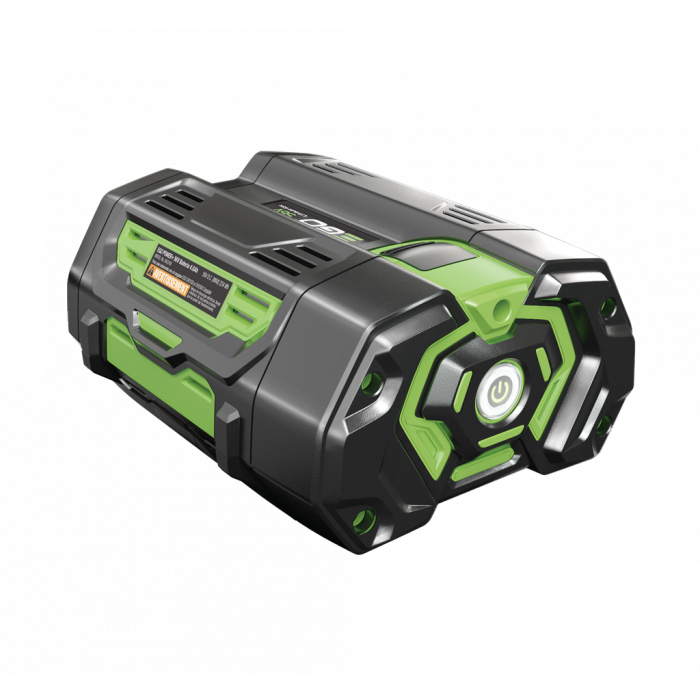 The EGO 56-Volt Battery 4.0 Ah is the Industry’s most powerful battery. 40% more power than 40-Volt compact batteries. Patent pending Keep-Cool battery technology keeps each cell cool for long life and work in the most extreme conditions. Patent pending power management system protects the battery pack from the most harmful elements a battery can face from overheating to over-discharging. Integrated fuel gauge to let you know how much power is left in your battery. Charges in 30 minutes with EGO power+ 30-minute charger.